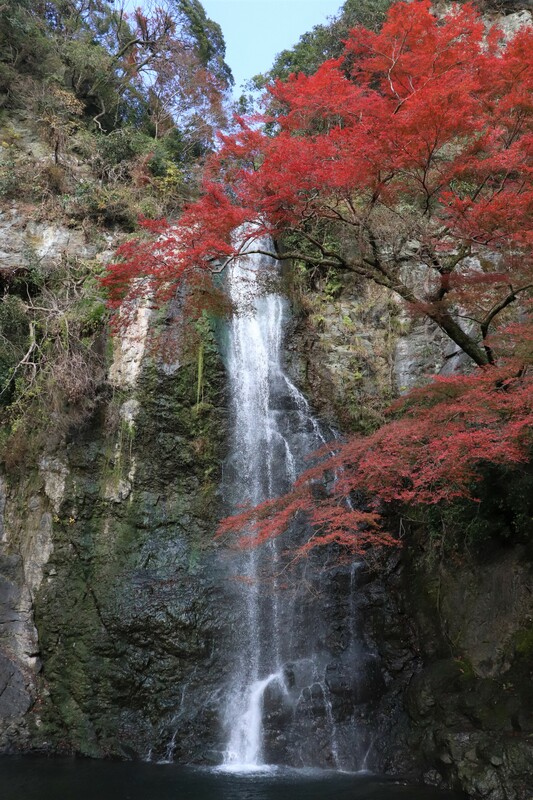 Minoo Waterfall, Osaka’s Best Spot for Fall Leaves! 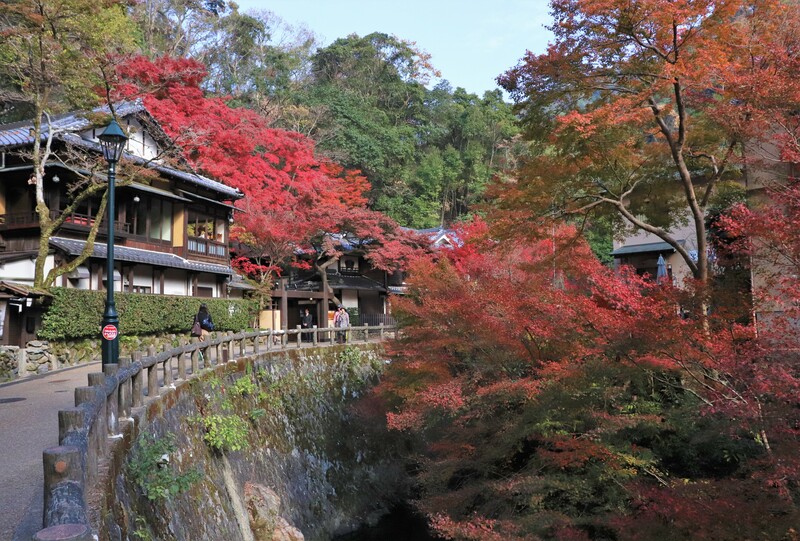 When it comes to fall foliage, or koyo [紅葉] in Japanese, Kyoto always comes to people’s minds. 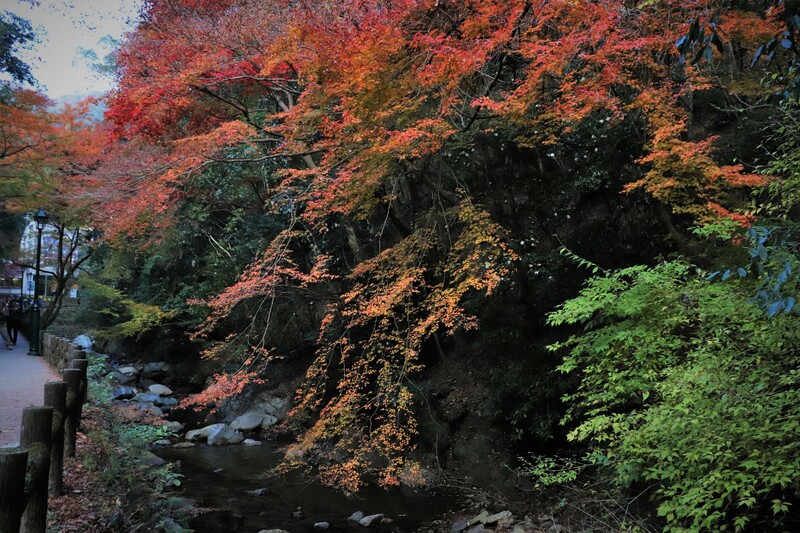 For this reason, during the fall in Kyoto there are often larger than normal crowds. 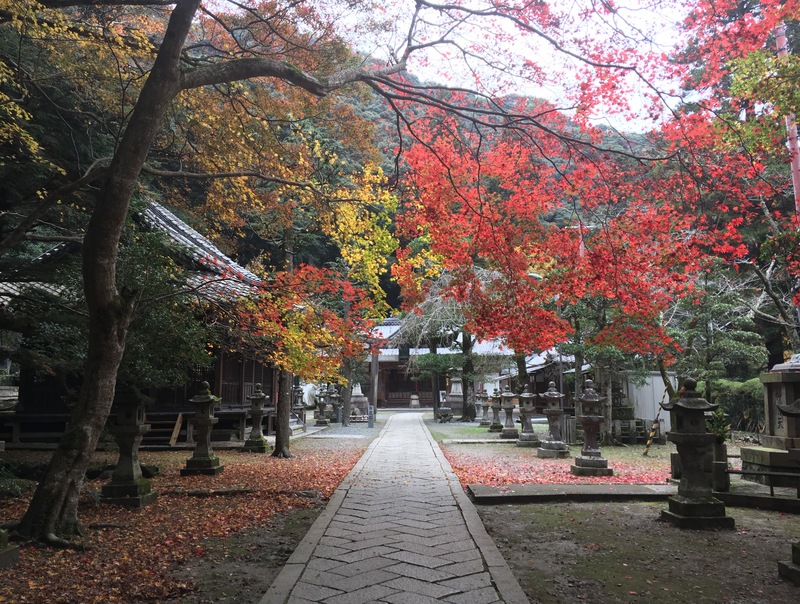 In extreme case, you have to wait for hours just to get in a temple to see pretty fall leaves. 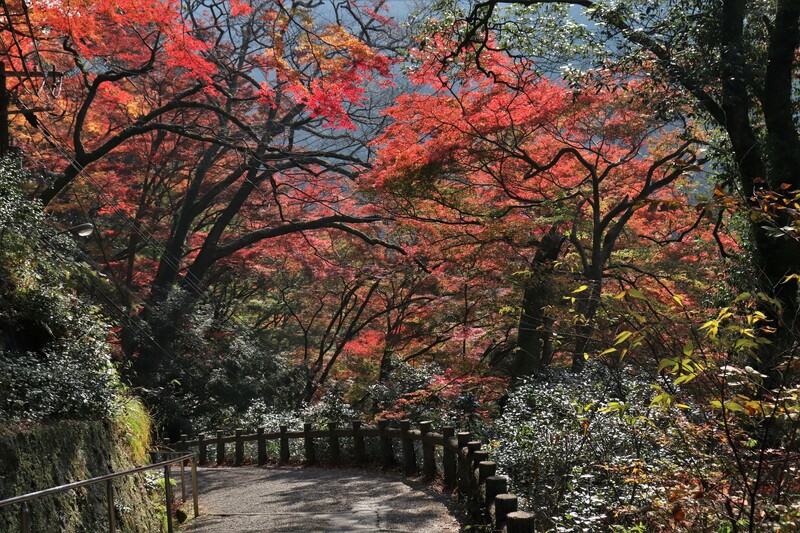 However, in Osaka you can experience the beautiful koyo too! 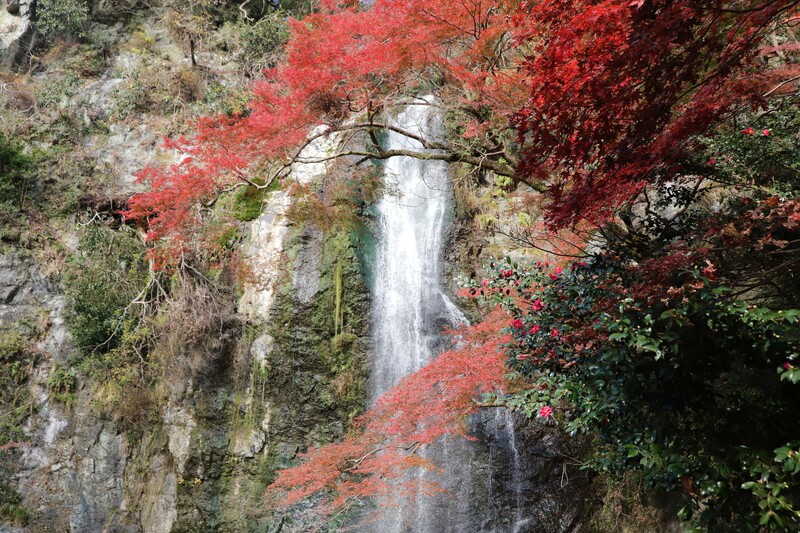 Only half an hour away from Osaka’s city center is Minoo Waterfall. 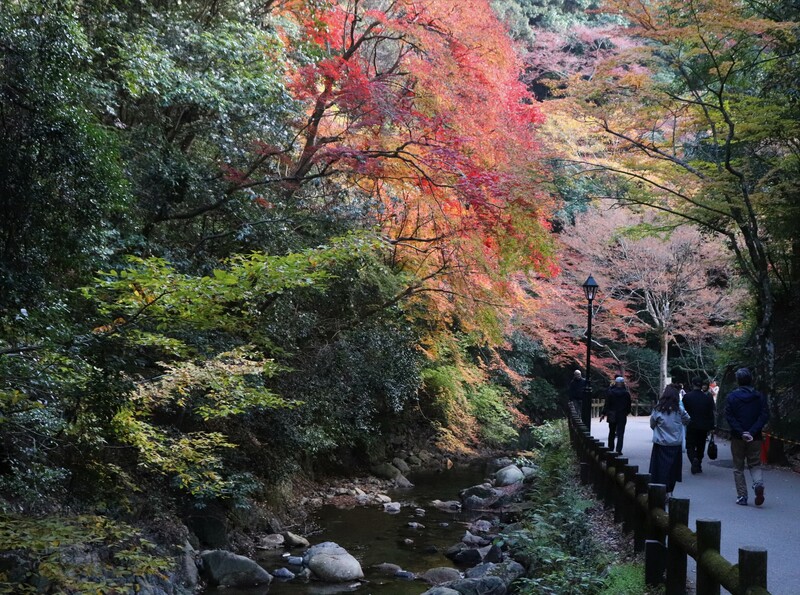 Along with surrounding Minoo Park, is easily the most spectacular place to enjoy the fall leaves in Osaka. On top of that, it only takes three dollars from Umeda Station to the park and Minoo Waterfall. FYI, the leaves are usually prettiest around the end of November through early December. Minoo Waterfall is inside of Minoo Park. The closest station to Minoo Park is the Hankyu Minoo Station off of Hankyu Minoo Line. To get there, take the Hankyu Takarazuka Line from Umeda and then change to the Hankyu Minoo Line at Ishibashi Station. It takes 15 minutes to reach Ishibashi from Umeda, and then another 5 minutes from Ishibashi to Minoo. The road to the park is very straightforward. After getting out at exit 1, just head north along the road with all the street vendors and souvenir shops. If you need a land marker, the Police Box is on the right near the start of this road. Noguchi Hideyo: a novel prize winner. He visited Minoo Waterfalls, carrying his mother on his back. Once you get to the park itself, it is a short hike through the park to the falls; roughly 3 km, which should only take only about 45 minutes. The trail is completely paved road with just a bit of elevation so it is a very comfortable walk. Although Minoo Park can be crowded in weekends, during the week the crowds are not that bad. 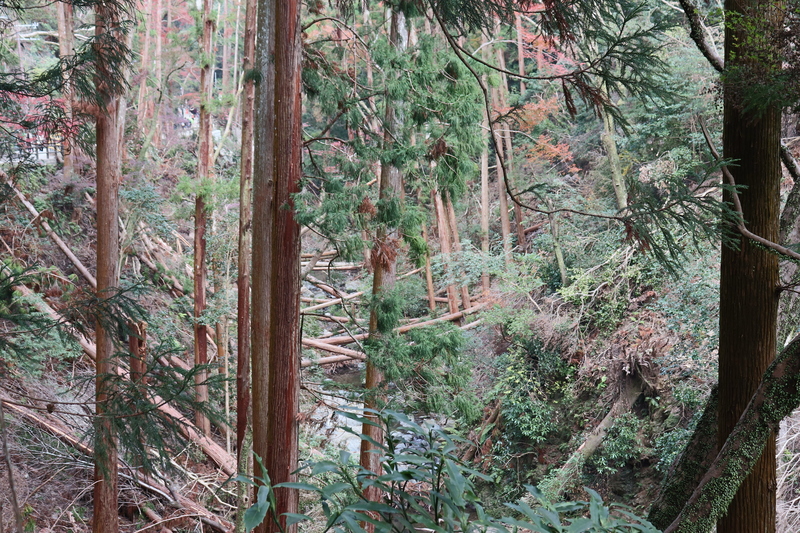 After the temple, the scenery becomes more forested with tall trees and a small river cutting through them. 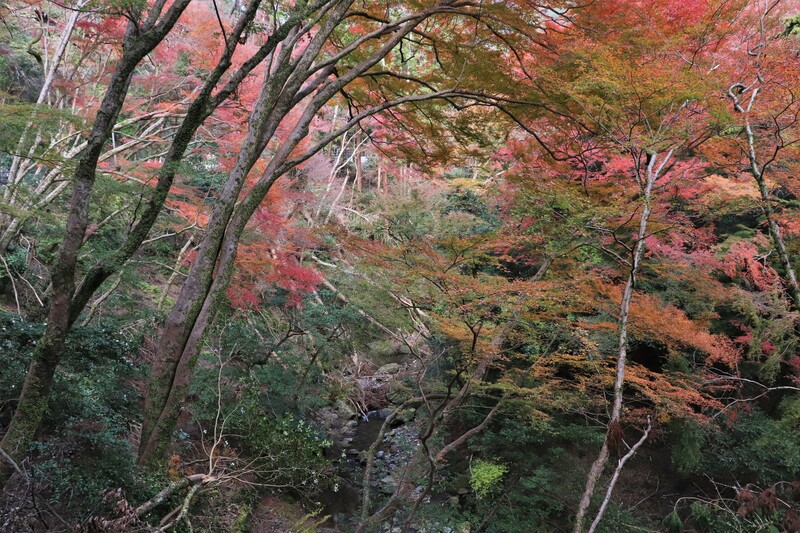 As we mentioned earlier, Minoo Park and Minoo Waterfall have some of the best fall colors in Osaka. 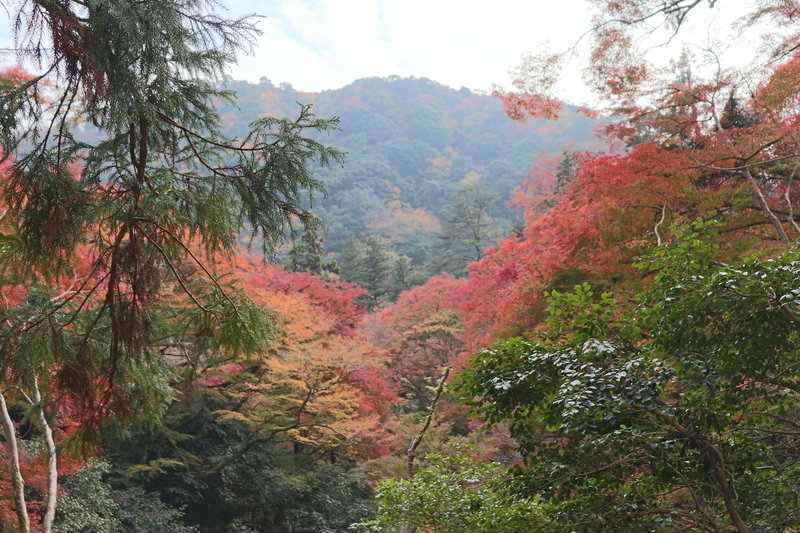 In particular, this area is famous for the brilliant colors of the Japanese maple, the momiji. Interestingly, the kanji for momiji and koyo are the same. Actually, there are several path to Minoo Waterfall besides this paved one, but some of them are blocked because of typhoons in 2017 and 2018. 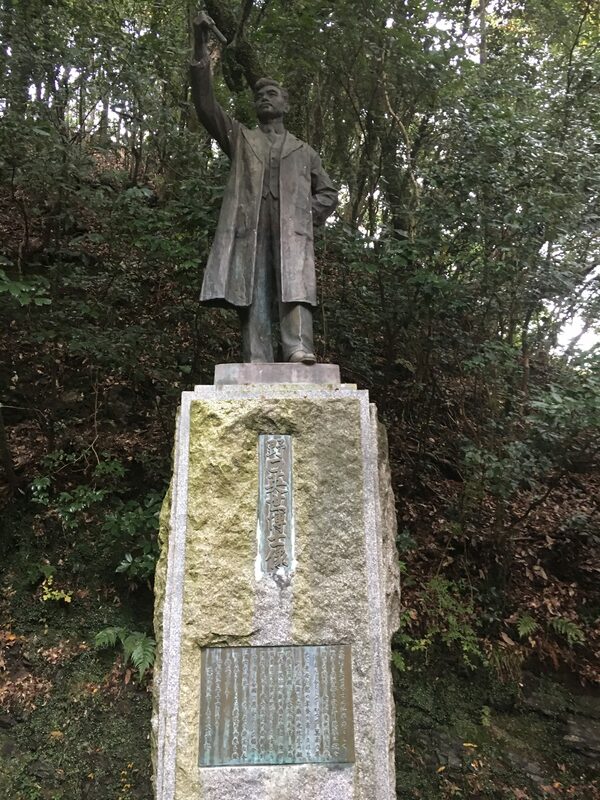 For updates about which trails are closed, check the Minoo Park website. Recent typhoons caused major landslides throughout Minoo Park. 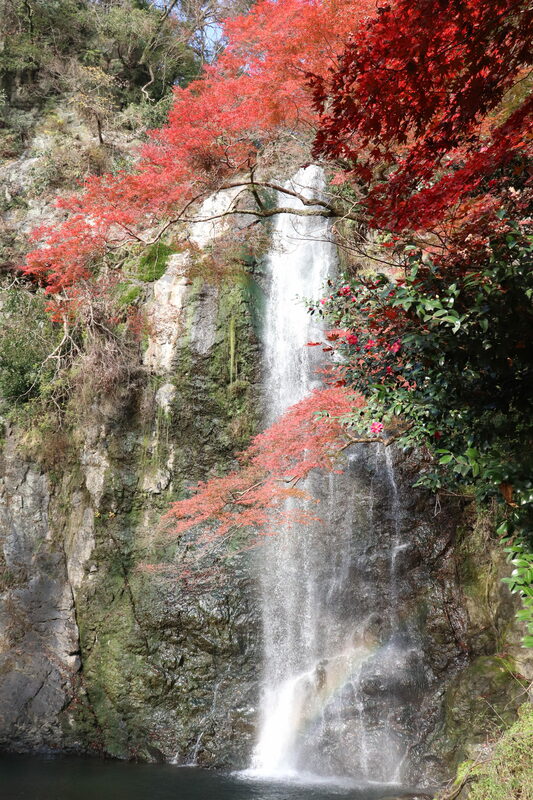 Before you know it, you will be at Minoo Waterfall. While you reach the waterfall, take a careful look around, especially in the tree tops. If you are lucky, you will be able to spot some monkeys! 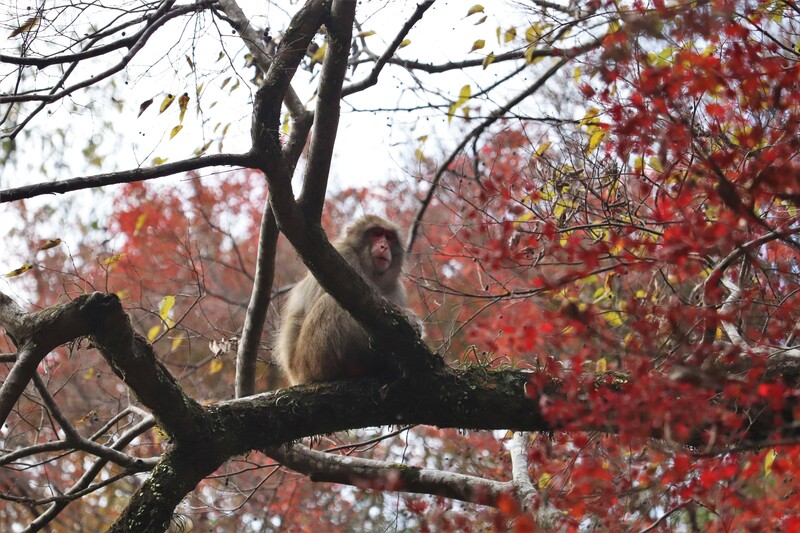 Up until about a decade ago, Minoo was actually a very famous place to see wild monkeys. Unfortunately, the monkeys began to make a nuisance of themselves by steal things from the vendors and tourists. It is also illegal to feed the monkeys. As a result, they were pushed back into their mountain. 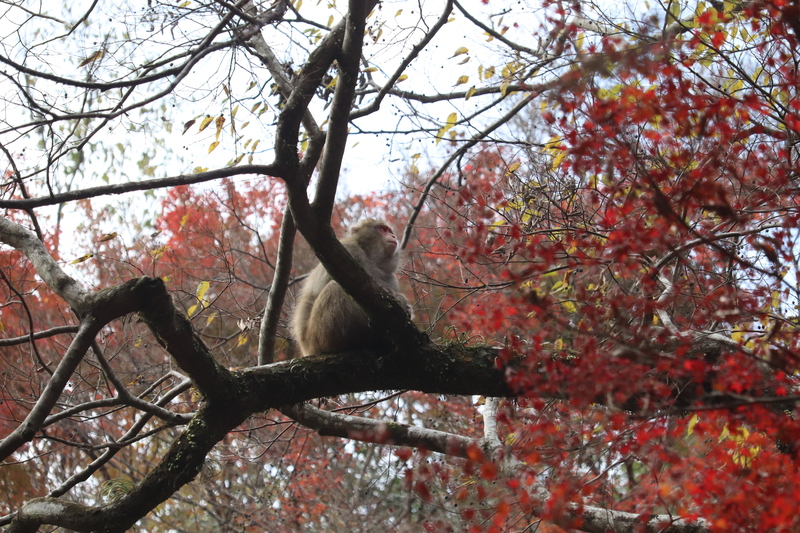 Even still, you can still find several monkeys up on the trees near the waterfall. 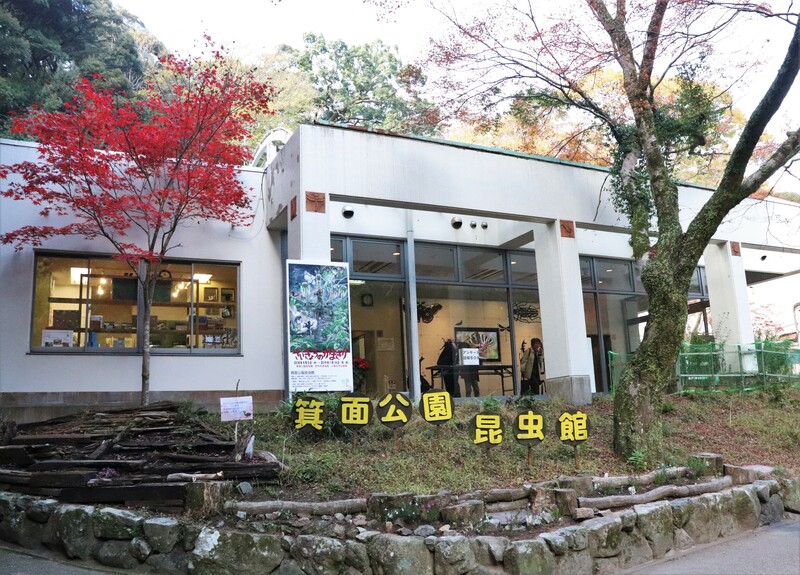 Minoo Park is also home to Mino Konchukan, the only insect museum in Osaka. If you are a foreign visitor, your admission is free. Right behind of the insect museum is Ryuan-ji Temple. Supposedly built in 658, this temple is full of history. 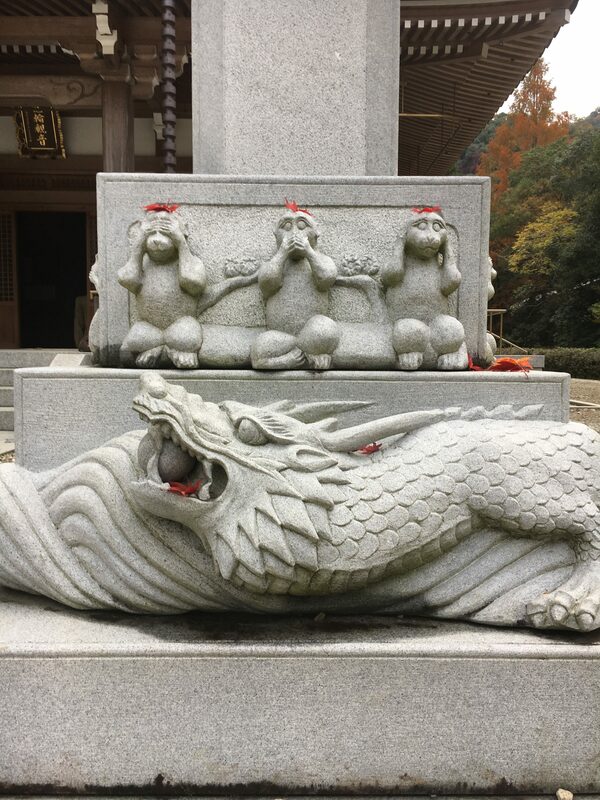 It prospered as a secluded Buddhist practice site for many monks and also the first temple to implement a kind of lottery as a means of generating funds. 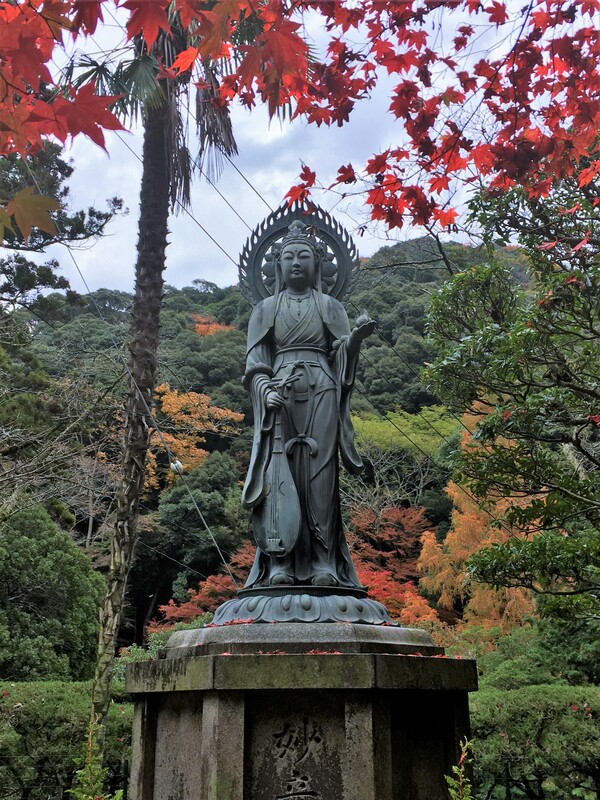 Oddly, though it is on the path to Minoo Waterfall, not that many people visit this temple. 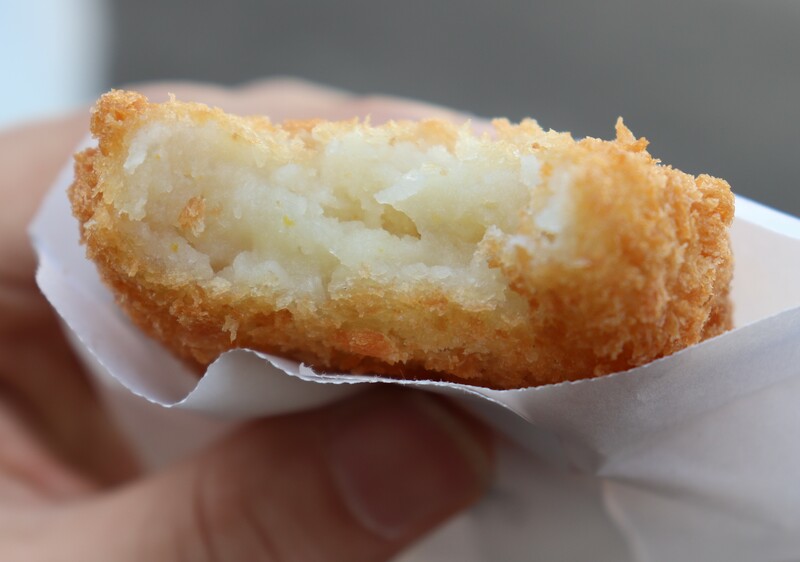 The most popular food in Minoo is without a doubt momiji tempura. 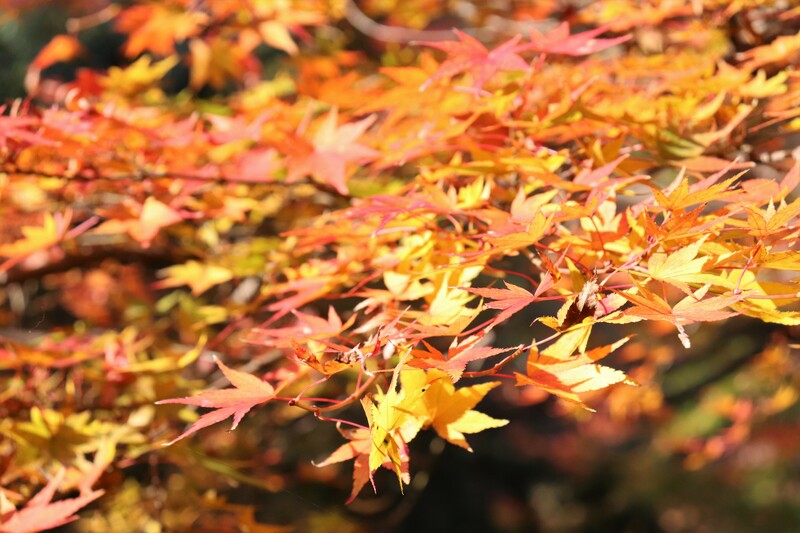 It is only available in Minoo and quite interesting, as no other Japanese people eat momiji. To be honest, it just tastes any other sweet fried snack. 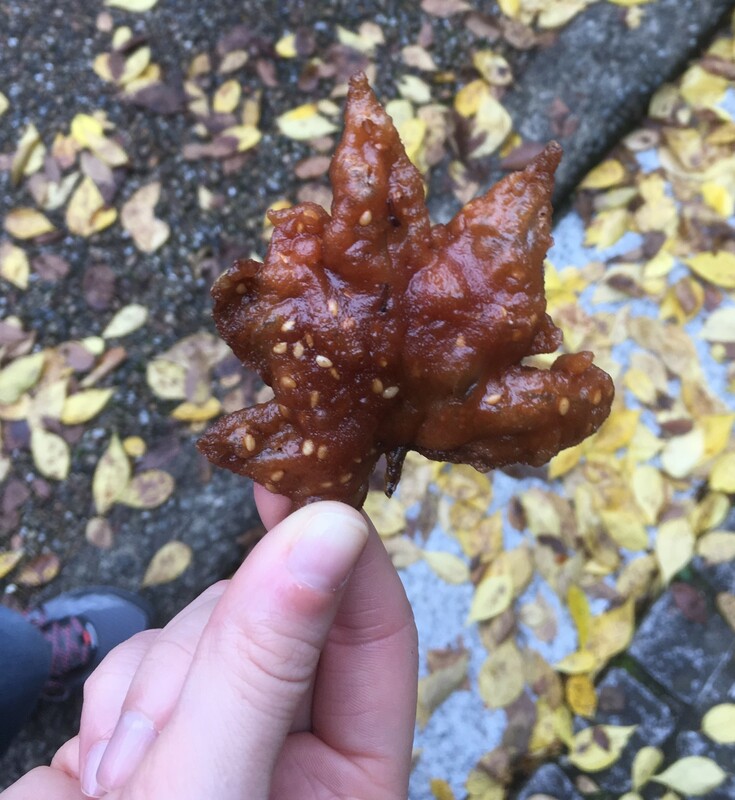 The maple leaves themselves do not really have any flavor—but who doesn’t like fried food, right? Since it is so popular, you should definitely try some. There are quite a lot of momiji tempura vendors along the road to Minoo Park. Some stores sell out their around early evening, so make sure to try them sooner rather than later! There several other food you should try if you have a chance such as . . . 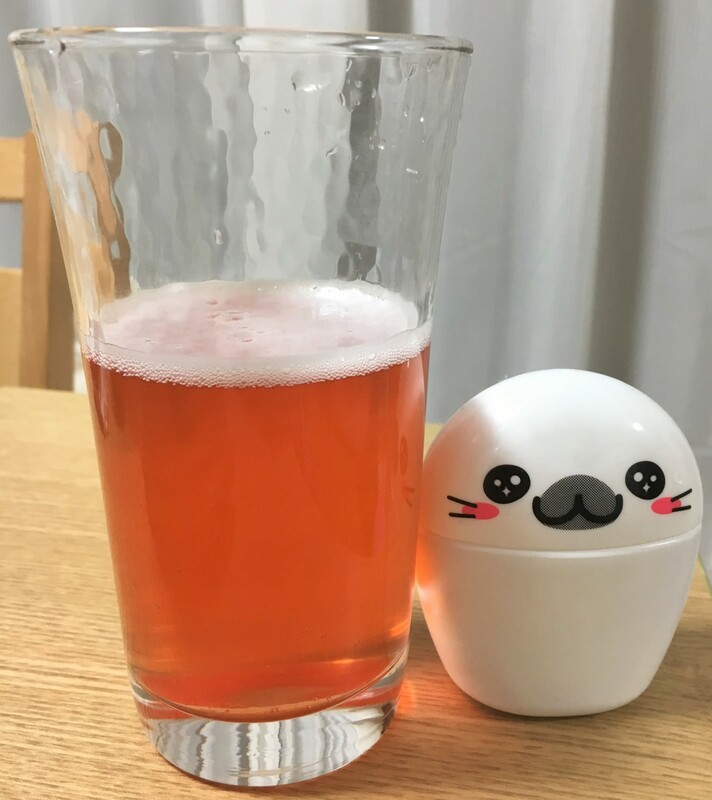 The beer really does have the orange-ish red color of the momoji! Minoo is historically well known for their exceptional yuzu. 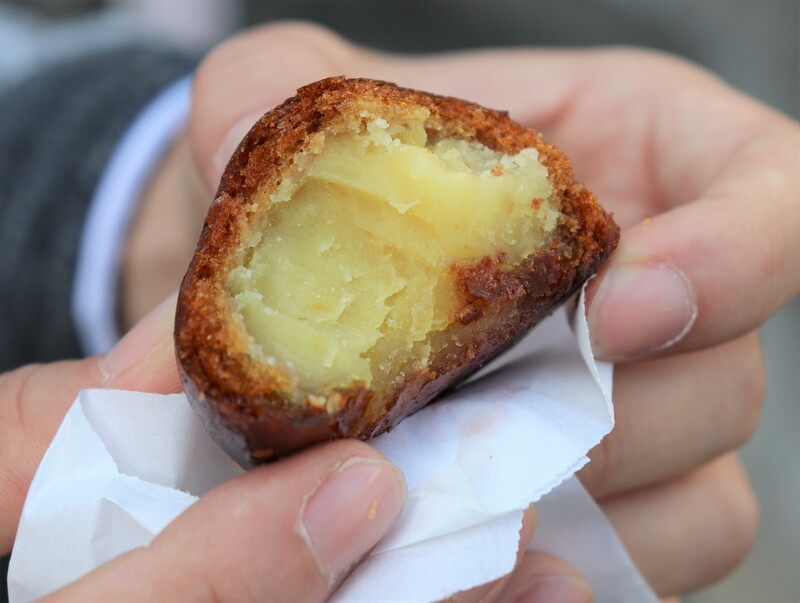 You can find some people selling the actual fruit along the road to the park, as well as some yuzu flavored snacks, like this croquette and fried manju filled with yuzu and white bean paste. If you look closely, you can see the yuzu zest. Another great place during fall in Osaka, Katsuo-ji Temple the hidden daruma temple! Maishima Incineration Plant: World's Prettiest Garbage Facility?